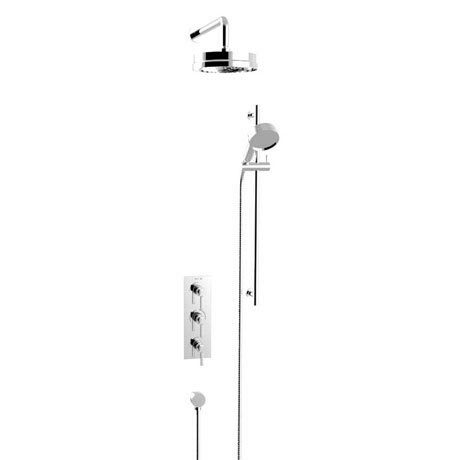 This classic Somersby shower features a flexible shower kit, 8" fixed head and a dual control thermostatic shower valve. The sleek elegance and timeless style makes it ideal for both traditional and contemporary bathrooms. Available in chrome and quality assured by a 5 year guarantee.